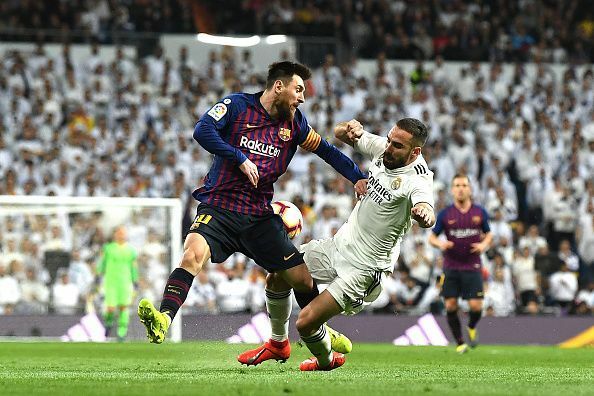 FC Barcelona extended their lead at the top of the table to 10 points by defeating Real Madrid for the third time this year of their 4 meetings. The defeat tonight means that Real Madrid must surely be out of the LaLiga race, sitting with a frankly disgusting 48 points after 26(!) games. Madrid needed all 3 points to make it seem as though they were in a race for the title, but tonight’s emotionally draining result surely means that Real must contend with top 4 and turn their attention to the UCL, the biggest club competition and Real’s hunting ground. Real Madrid gave it their all, but it wasn’t enough to get past a Barcelona that wasn’t flying on all cylinders.